You need leather sole shoes to dance Salsa and be able to turn. Street shoes can be used, but they tend to be a little slippery on a good hardwood dance floor. Don't wear rubber (unless the floor is filthy) because it is like wearing brakes! Real dance shoes have a suede bottom, which is a little more grippy, but just right. In many clubs, the floors will tend to be slippery, in which case a shoe with a hard rubber sole is good as well (dance practice shoes or "dance sneakers" have this, but may not be acceptable to the club dress code). You can also take your favorite pair of shoes and put a hard rubber "sole guard" (thin Vibram brand sole- about 1/32" thick) at the local shoe repair, and this will be a good all-around surface for many locations. Plus, you don't need to worry in the rainy season! For others, please refer to Henry's Hot Dancelist, in LINKS, for numerous dance resources. Dance Shoes Online: There is a site called DanceShoesOnline.com that has a very large selection of shoes and sneakers for all types of dance. Check them out, and please let me know what you think of the quality of their product. Port Dance: www.PortDance.pt A vendor in Europe. Nice collection and site, have not tried ordering yet. Let me know youre experiences if you do! Please let us know if you have any questionable experiences with these vendors. Some have contacted us and we would like to only keep links that are reputable and good service. Dance Sneakers/Practice Shoes - COMFORT/Safety! Most classy nightclubs have dress codes that disallow tennis shoes or "sneakers". But these dance sneakers comein black and should cause no problems, especially in light of the more casual attire people wear now to dance. NOTE: Dance sneakers provide more padding for the foot for comfort, but they are not as strong structurally as a good dance shoe (i.e. professional non-sneaker shoe). For some people, the structure protects the feet more than padding since it resists twisting forces on the foot. A good professional shoe is therefore our shoe of choice. "More Hip" Dance shoes: - Comfort/Style! Dance sneakers are super comfortable and great for your feet, with more padding. They are less expensive too. I use them with an insert (see below) for more support that I need for my foot in salsa. But they are not the prettiest things to look at! Newer styles are emerging that resemble either professional shoes (think black leather) or athletic shoes, yet they are designed for dance! Check out the styles at www.GabelliniShoes.com . They have some interesting ones and I'm going to try them. NOTE however that some may be a problem in clubs with strict dress codes (as in "no athletic shoes") but this is constantly changing. Remember when you couldn't get in wearing jeans!? Dancing has one price for all of its enjoyment: it is hard on the feet! 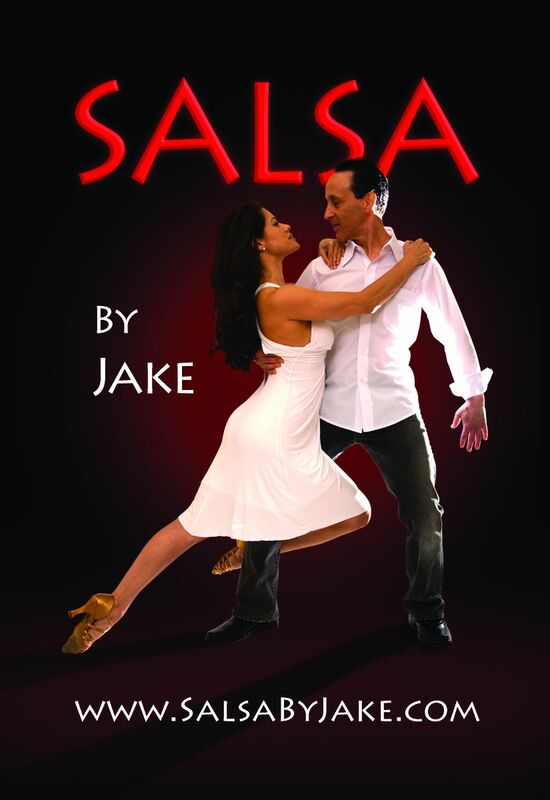 Salsa is an intense dance and the intensity can take its toll on your feet over the long term. Additionally, most places that offer dancing don't have the best flooring available and a hardwood floor installed over a hard surface (like cement) can be very unforgiving. Since you want to dance for your whole life, then a little thought about foot care early can go a long way to make that a reality. We have worn professional dance shoes almost since we started, since they provide very good support. Now, many people wear dance sneakers too, since they offer more padding and a sole that is adaptable for any surface (and it doesn't wear out or get damaged when wet). Dance sneakers have a split sole, so there can actually be more pressure on your meta-tarsel area wearing them. So, that is a trade-off. I've seen one teacher (and some of his students) wearing a jazz shoe that only offers about 1/16" leather sole between the foot and the floor. This gives a great "feel" of the floor for your footwork, but it also is questionable footwear for long term use. My partner found a great product - an insert that she adds to her dance shoes. This increases the structural integrity of her high-heels by providing better arch support and a meta-tarsel pad. Jake has had some foot problems and found that the same insert helped tremendously. Check them out at www.pedag.com. We wear the "Holiday" model - now replaced by "Viva Mini" model(Jan 2013) - and there is also a full size "Viva" model. For dance sneakers or sports shoes, there is also the "Vitality" model or even a neoprene padded version called the "Pro-Active XCO". We found these online for about $16. This is a type of "orthotic" which helps your foot maintain a good position and also provides padding at critical joints. Other basic padded inserts can help with shock absorbtion too. Inserts also give more support for split-sole dance sneakers. See your local shoe repair or search online for such products. There is a great web site (with a Bay Area SF location) called FeetRelief.com where you can order these great products. Protect your dear ol' feet since you only get one pair! A podiatrist should be consulted for any serious foot pain and experiments with foot care products. Two other sites with many foot care products are FootSmart.com and DiabeticShoeHub.com (orthotics). When you dance, your feet are your instruments. But unlike musical instruments, you can just go and replace them if they wear out. Taking care of your feet and body are very important if you love dance, because you're in it for the long haul, and years of abuse can have sever consequences. This section discusses where to get the best footwear which in turn will make your dance experience more enjoyable and protect your feet from future problems.